Rising-stem cast steel gate valves are used when it is important to know by immediate inspection whether the valve is open or closed and when the threads (stem and gate) exposed to the fluid could become damaged by fluid contaminants. 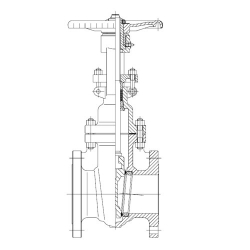 In this design, the stem rises out of the gate valve when the valve is opened. 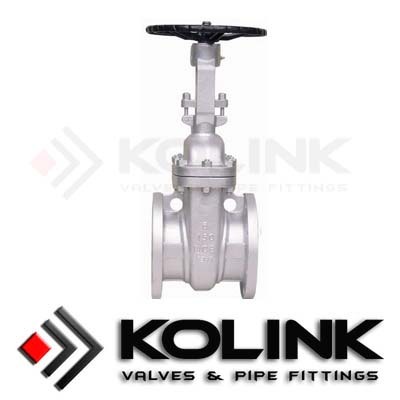 The wedge gate of the Kolink gate valve provides tight sealing even at low differential pressure. Grooved wedge guided and fitted by body, assures proper and consistent seal regardless of valve position, and also minimizes seat wear and damage, since seating surfaces of the wedge and seat are in contact during less than 5% of the total wedge travel.